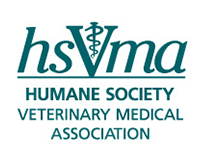 Dr. Paula A. Kislak graduated from the College of Veterinary Medicine at the University of Florida in 1984, after pursuing degrees in both psychology and zoology at George Washington University in Washington, DC. Her noteworthy career has involved work with the San Diego Humane Society and The Humane Society of Greater Miami, as well as positions in private practice in California. She currently serves as a relief veterinary practitioner and is both a consultant and lobbyist for animal welfare issues.